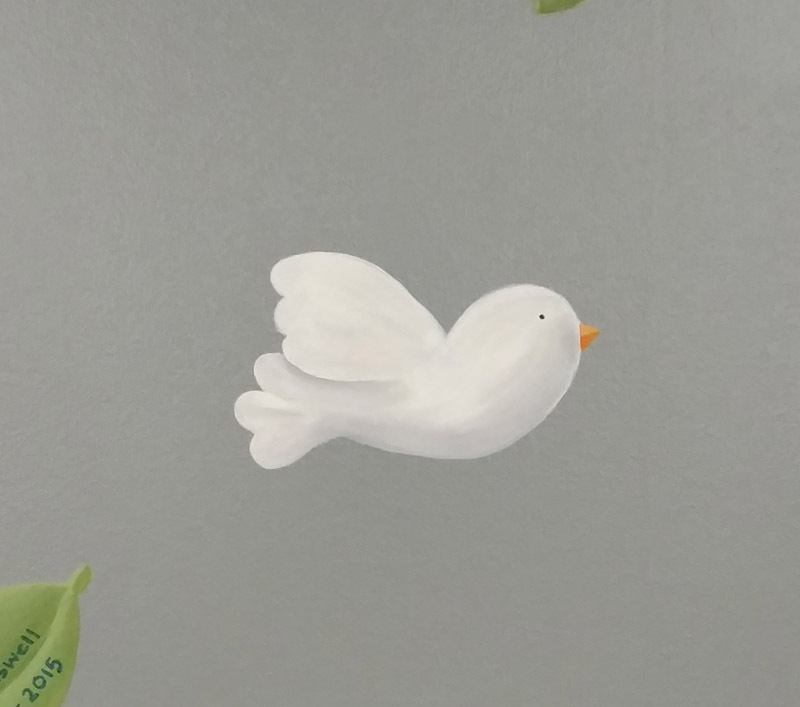 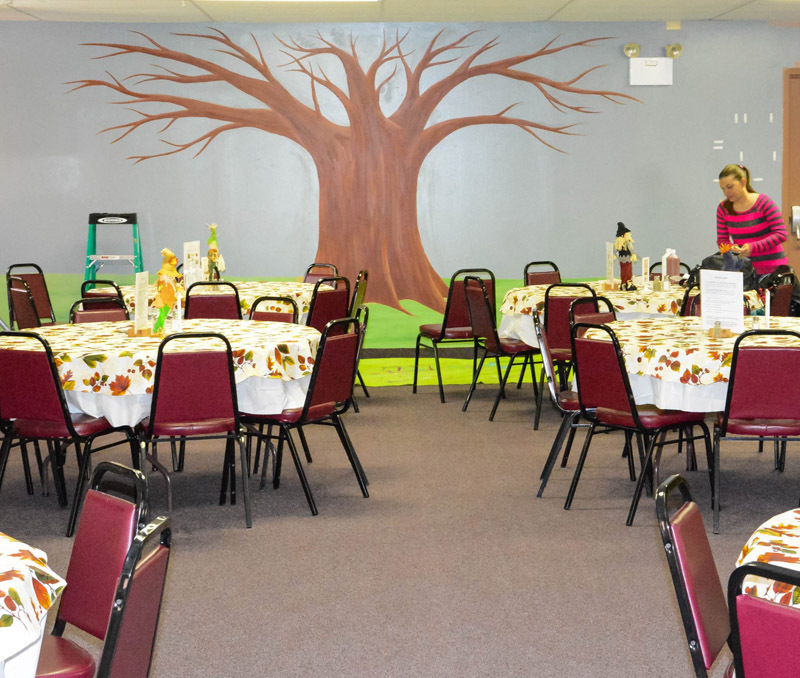 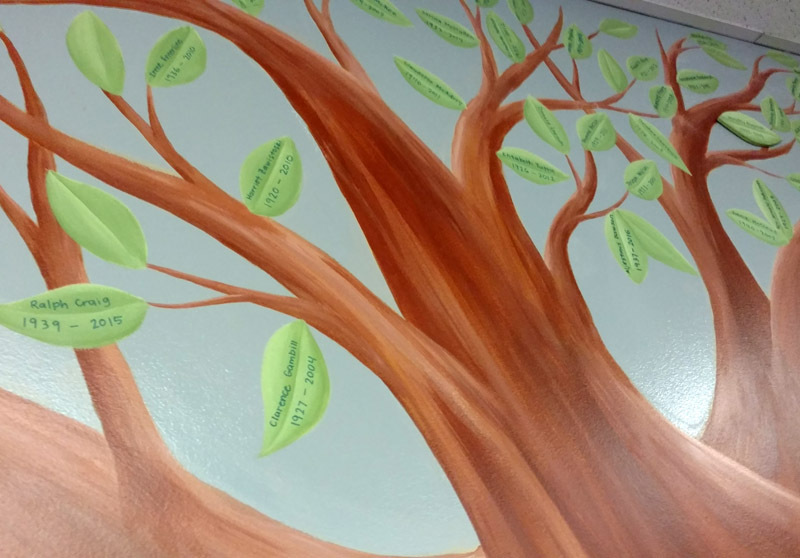 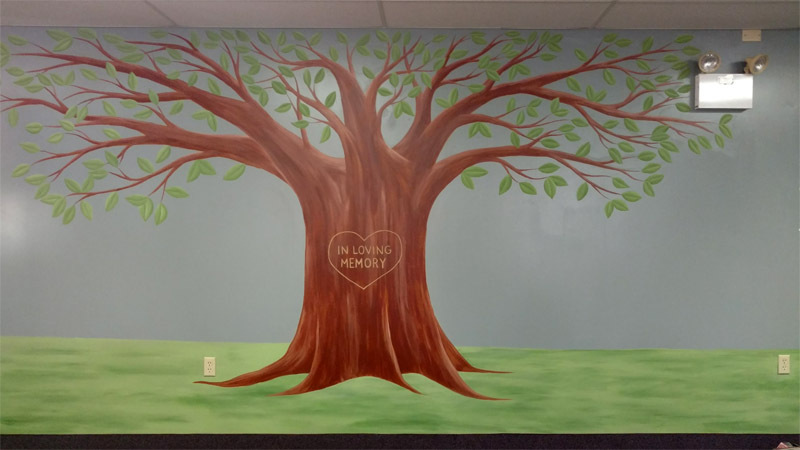 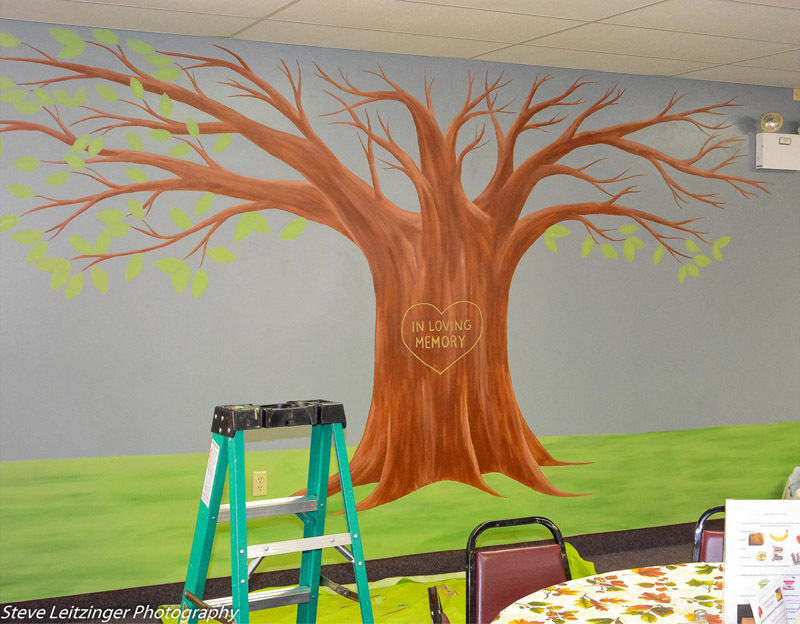 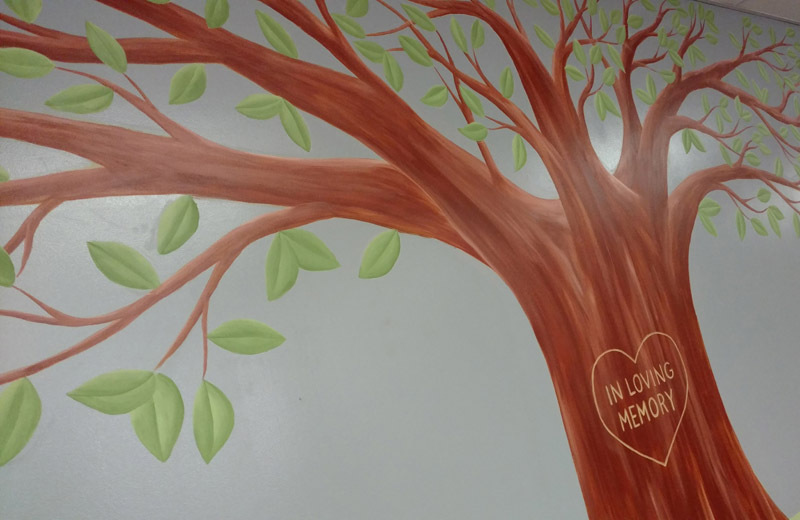 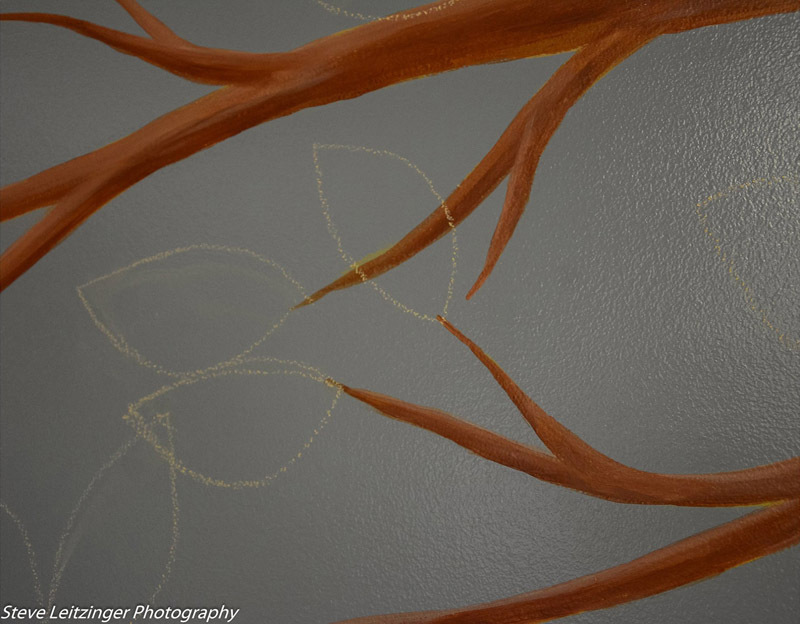 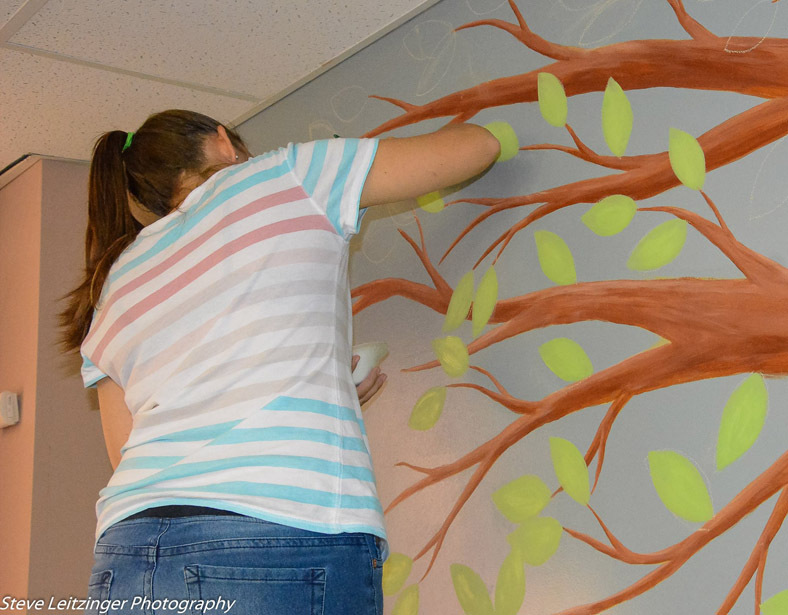 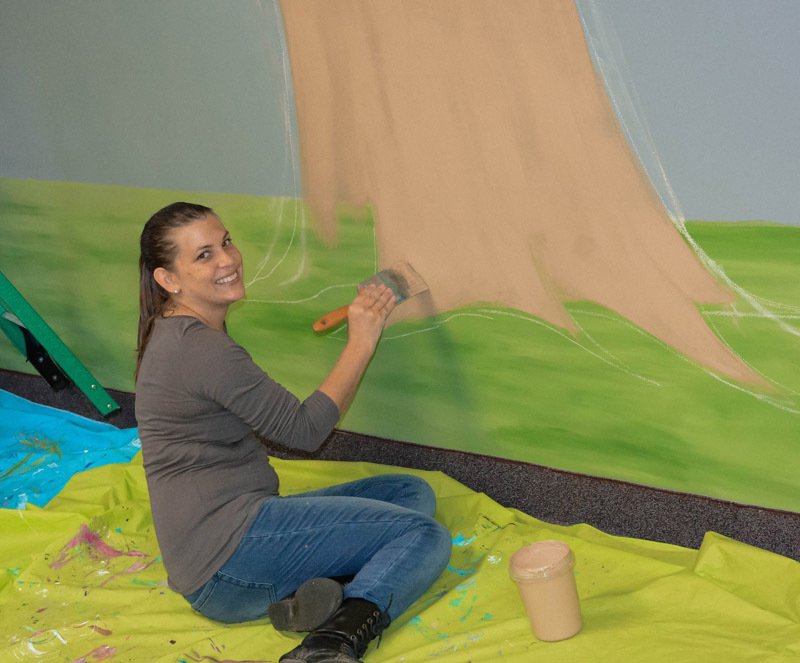 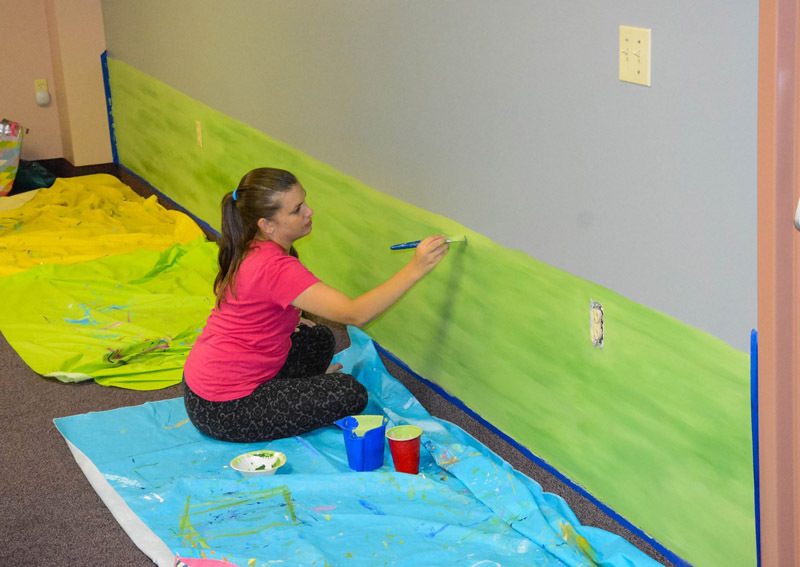 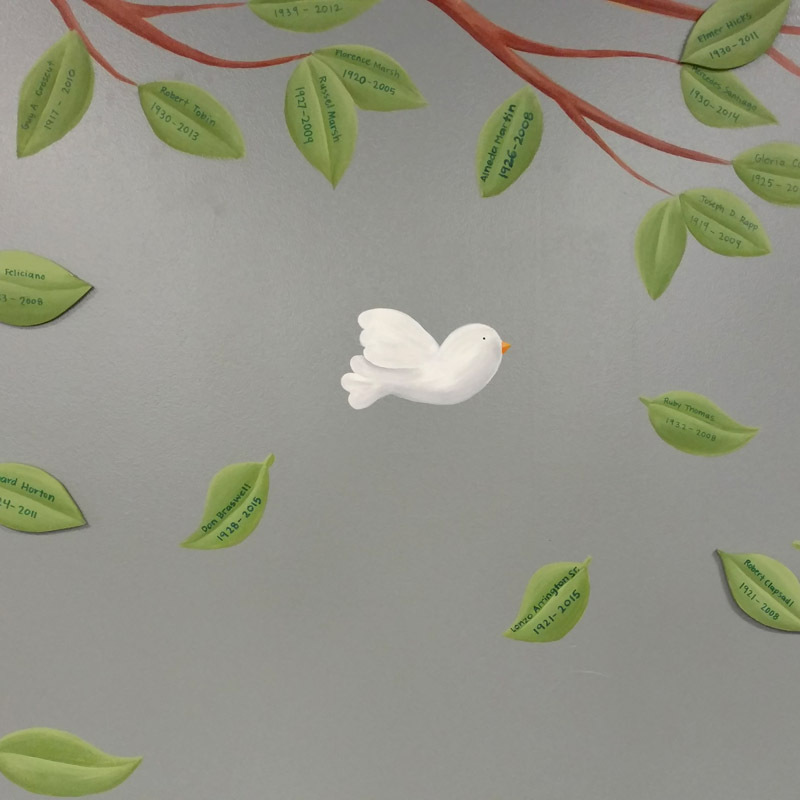 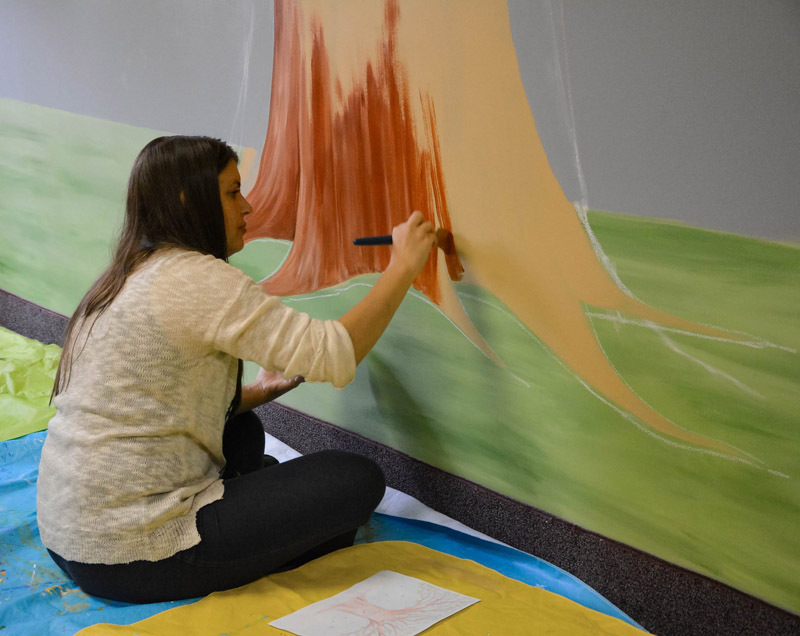 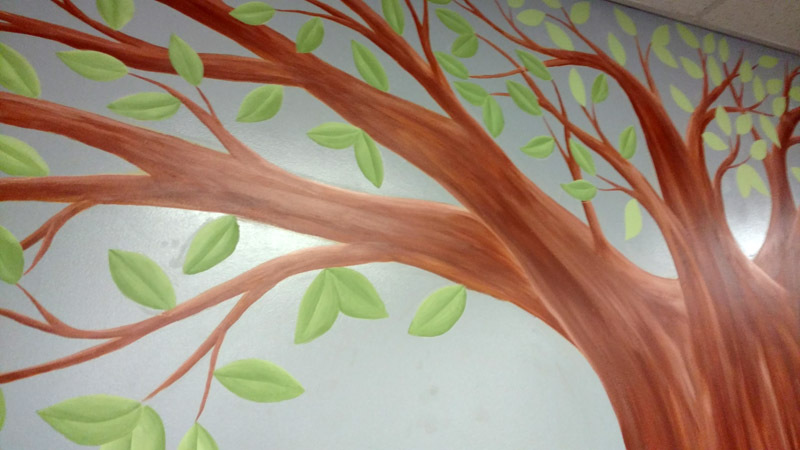 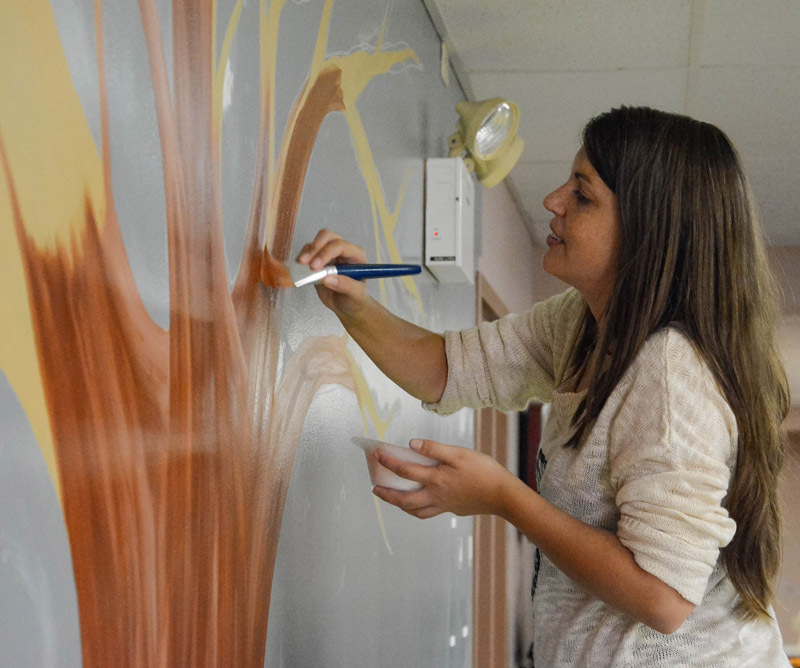 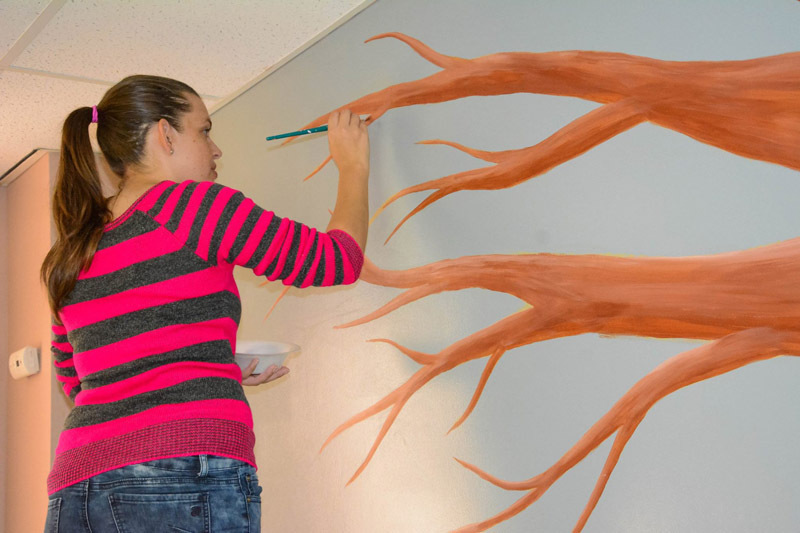 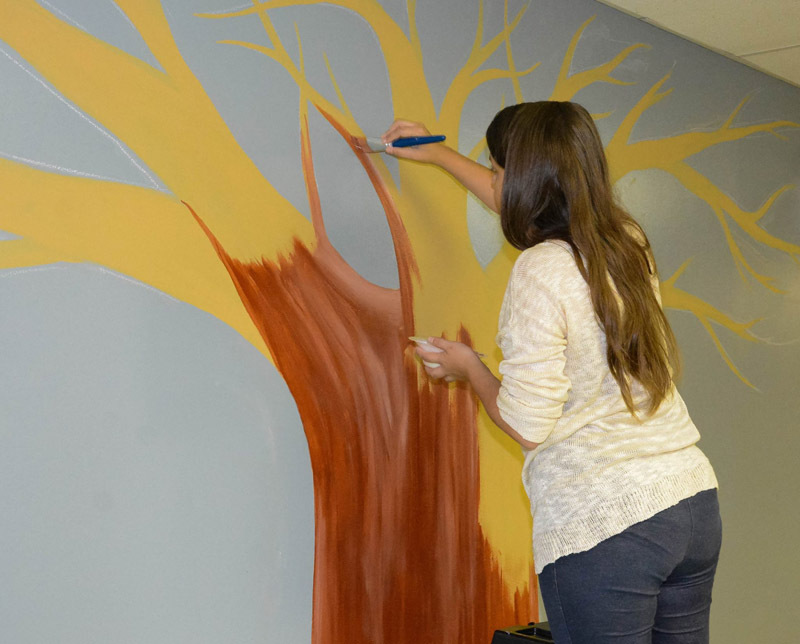 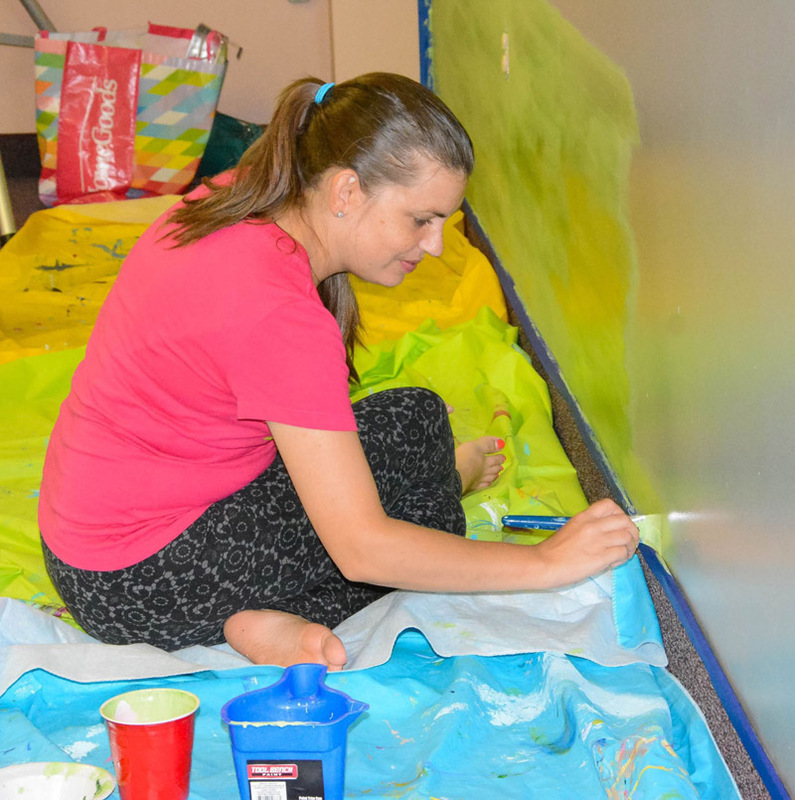 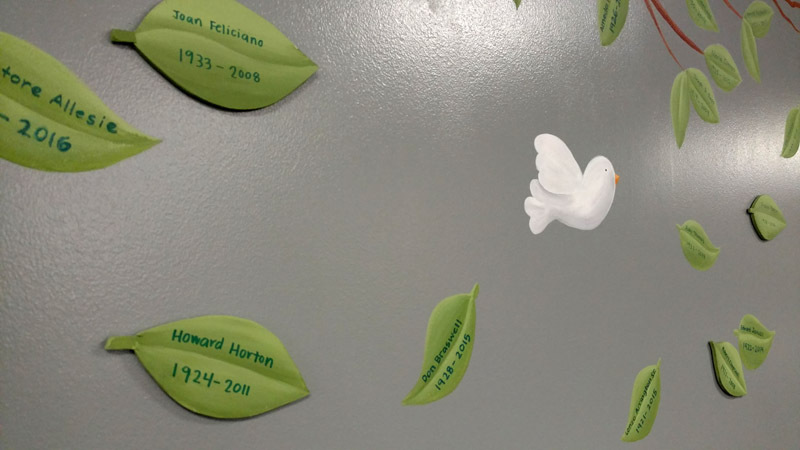 In the Senior Center of the John F. Kennedy Center, was commissioned to create a Memorial Tree mural. 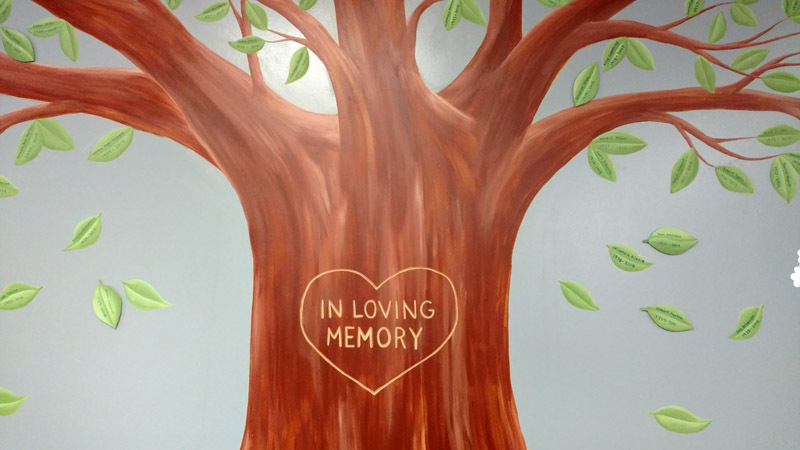 This is a tree dedicated to the seniors from the center that have passed. 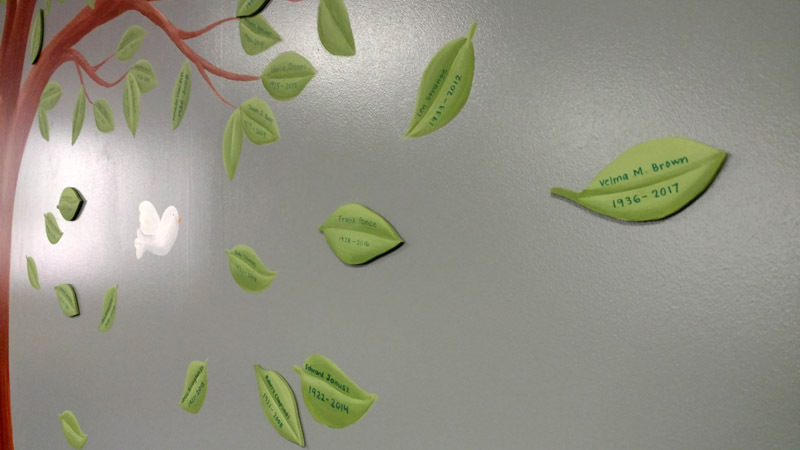 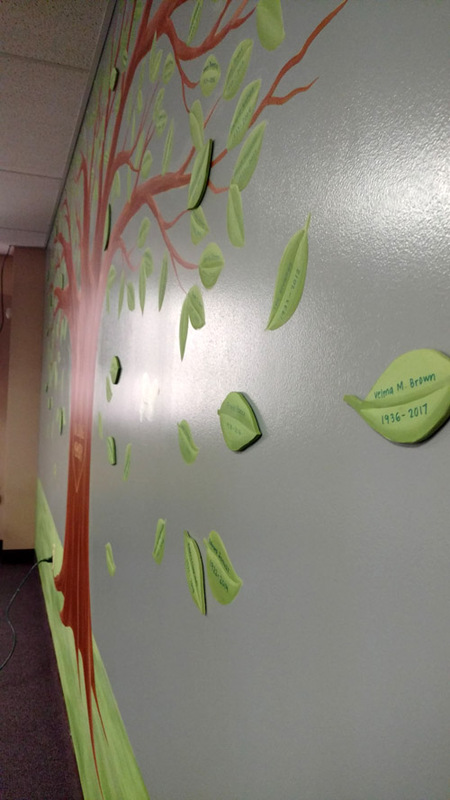 Each leaf on the tree is dedicated to a specific senior, featuring their name, birth year, and death year on the leaf. 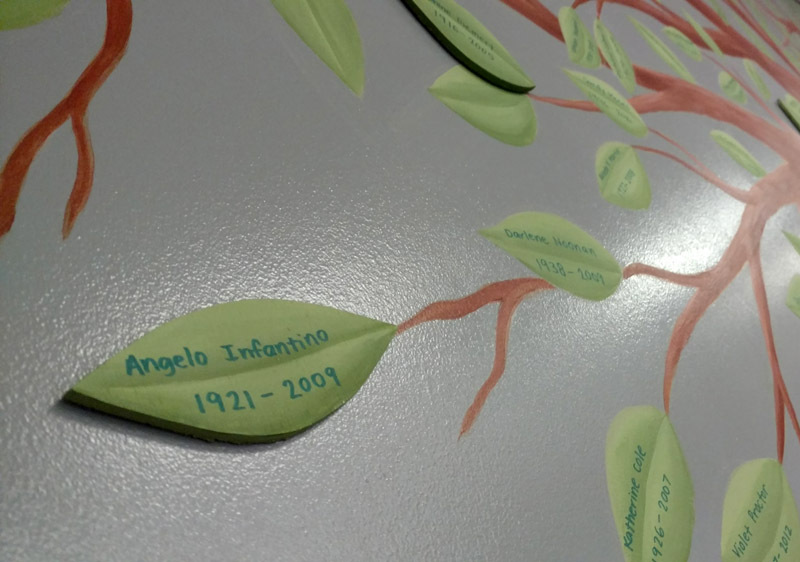 I also created separate leaves that can be added to the tree in the future, as new names will need to be added in the coming years. 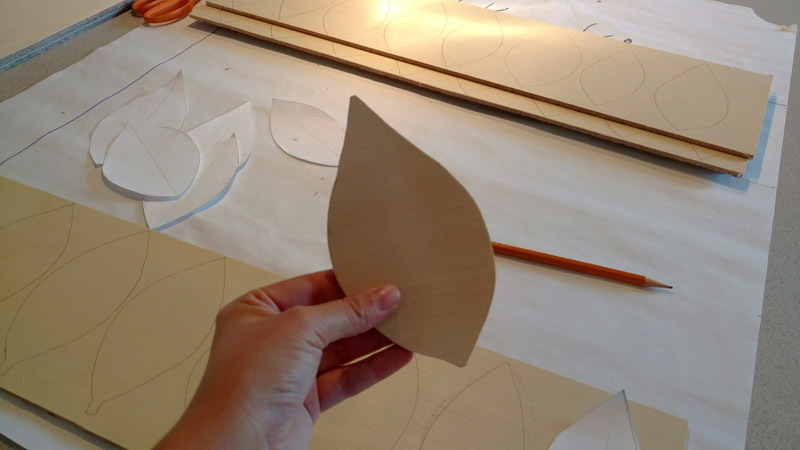 I cut these leaves out of wood using a scroll saw, and painted them to match the leaves that are already on the tree. 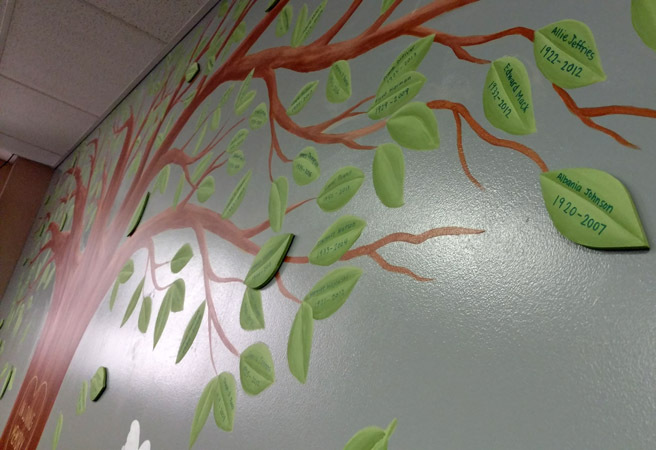 In addition to allowing names to be later added, these leaves also lend a “three-dimensional” look to the tree. 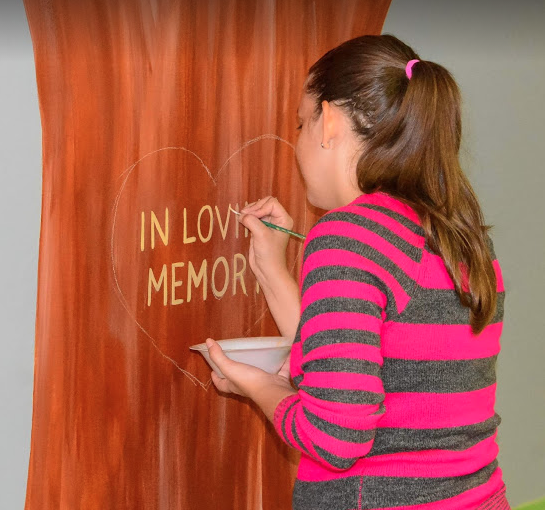 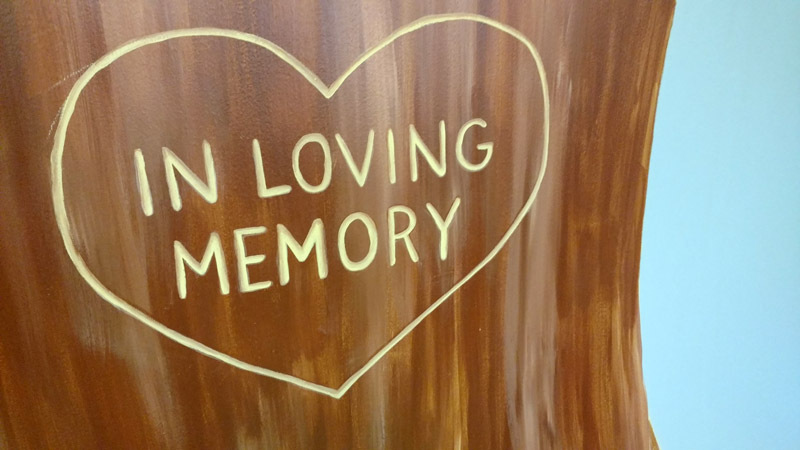 On the trunk of the tree, I included the text “In Loving Memory”. 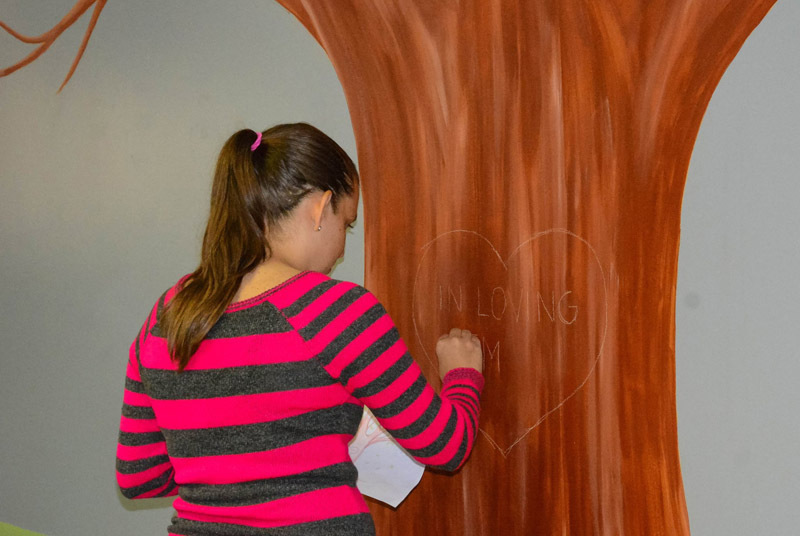 I painted the text to look like it was carved into the tree trunk.